Questions translated to Russian by Shari Perkins. Interview translated by Natalia Antonova. In the mid-2000s, Russian writer Sergei Lukyanenko was catapulted to something like superstar status with the success of his Night Watch series. 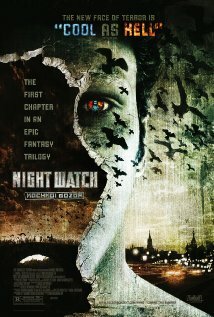 Translated into English by Andrew Bromfield, and adapted into internationally acclaimed films by Timur Bekmambetov, and even spawning a pair of video games, Night Watch and its sequels were part of a seismic shift in the Western fantasy market. The mid-1990s saw the creation of Paul Di Filippo's Steampunk Trilogy , and the birth of early fang-and-fur heroines Buffy and Anita Blake. A decade later, these outliers had become genre juggernauts that helped shift the center of gravity of fantasy away from sword and sorcery, and toward stories with modern or futuristic urban settings. More than just a change of scene, it was a shift toward greater moral complexity and historical complication (Stephenie Meyer notwithstanding); toward stories influenced as much by twentieth-century detective noir as by medieval myth. The Night Watch books, when they finally appeared in English, were standard-bearers for this transition. They offer a vision of life in post-Soviet Moscow: bleak and cold and made grim by economic malaise, a calcified political system, and the massive corruption unleashed by the fall of the Soviet Union and subsequent "liberalization." The dwellers of Lukyanenko's Moscow seem almost nostalgic for the Cold War years. But for some, a different cold war is still going on. The Others are a race of wizards and witches, vampires and shapeshifters, who have existed in secret, side by side with humanity, for generations. The Others man the "Watches," supernatural spy agencies that vie to maintain (or shift) the delicate balance between light and dark magic—all while keeping their existence secret from mortals. The books are a great read—tales of magic, politics, and intrigue, in a world where paranoia is always justified, and every scheme has another scheme hidden beneath it. But they are also seminal works in the rise of urban fantasy as a genre. Lukyanenko himself is a major figure in Russian fantasy and science fiction. 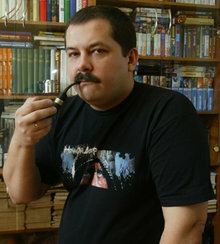 Born in 1968, in what is now Kazakhstan (then part of the Soviet Union), he has been publishing since 1990, and has more than two dozen novels and numerous short stories to his name. In Russia, his success has been credited with helping to bring speculative fiction to a larger audience, and break away from the "children's stories" stigma that often dogs it. Yet despite the success of the Night Watch books, he remains a rather obscure figure in the West. Few if any of his other works have been translated into English, and even interviews are relatively rare. With translations by scholar Shari Perkins and journalist Natalia Antonova, Nicholas Seeley asks Lukyanenko about writing, movies, video games, and the value of an international approach to writing fantasy. Sergei Lukyanenko: First of all, thank you for these questions. Being able to speak to American readers is very interesting to me, and I hope reading this interview will be equally interesting for them. Nicholas Seeley: I'd like to find out more about how you grew up: what subjects did you like in school, what did you study? Were you a jock or an intellectual? Or a romantic? Did you read science fiction and fantasy back then? SL: I went to a regular high school in Kazakhstan (Kazakhstan was then a part of the USSR), in a small southern town called Djambul. Most of all, I liked literature classes (I started reading at age five) and chemistry. I wasn't a jock, but rather an intellectual and a romantic, really. Science fiction and fantasy were always favorite genres of mine, but I read a lot, haphazardly so: there were Russian and foreign classics, adventure stories, poetry, memoirs. . . .
NS: What drove you to work in the speculative fiction genre? SL: The fantasy of ideas (if I am correctly interpreting the word "speculative"—it's not commonly used over here) appealed to me since childhood. What draws me to science fiction is mystery. The possibility of saying: "What if . . ." And then going on to consider the most unlikely hypotheses. What if magicians lived among us? (Like in Night Watch .) What would happen if today we invented the hyperdrive and space shuttles could travel to the stars? (Like in "The Stars Are Cold Toys.") What would happen if Earth were visited by aliens—kind and good sort of aliens—that put up Star Gates all over the planet, so that we could travel anywhere we wished? (Like in "Specter.") Science fiction that centers on adventure and entertainment is also good, but if it contains an unexpected idea, a mystery, an attempt to see our world from an unexpected angle—then that's terrific! NS: What writers influenced you most? Were they Russian, or foreign, or did both Russian and foreign writers influence you equally? SL: They were Russian, and they were foreign. Literature at its core is both national, because it allows us to understand different groups of people better, and international, because it is accessible. When it comes to Russian writers, the Strugatsky brothers probably influenced me the most; they, in my opinion, changed our science fiction at its core back in the 1960s-'70s. Among foreign writers, Robert Heinlein, Clifford Simak, and Roger Zelazny were influences. Oh, and there was also Stephen King. NS: Do Russians read a lot of foreign science fiction? What authors do you like most? SL: A huge amount of science fiction, primarily American, gets translated into Russian. During Soviet times, not all writers were translated due to ideological reasons (an author needed to trash the Western way of life just a little bit, or else condemn war, in order to become "trustworthy" in the opinion of our censors), but today everything is translated—and very quickly. Among modern writers, I like Vernor Vinge, George R. R. Martin, Lois McMaster Bujold, Andrzej Sapkowski (the Polish school of science fiction is not bad at all), Terry Pratchett (he's perhaps my favorite writer right now), and Welsh author Jasper Fforde. NS: Are there some Russian writers that you really like, those we don't know about in the States? 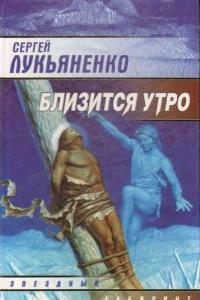 SL: Russian science fiction is very diverse, and it's a pity that it's not well-known in English-speaking world. I would point out Nick Perumov (a very prolific and popular science fiction author, who, by the way, has lived in the U.S. for many years now, but writes in Russian), Alexander Gromov (a Moscow-based author, who mostly works in the "hard science fiction" genre), Leonid Kaganov (a young Moscow-based author, a short story master with a wonderful sense of humor and, at the same time, a subtly lyrical writer), and Marina and Sergei Dyachenko (a wife and husband duo, Russian-language Ukrainian authors who write very peculiar, romantic fantasy). NS: It seems that lately, when it comes to English-language literature, there has been growing interest in the urban fantasy genre—these are stories that combine modern or futuristic themes and locales with traditional fantastical elements such as magic, vampires and so on. Is something similar happening in Russia? SL: Yes. My Night Watch , Day Watch , etc. series, which began in 1997, were the first Russian books in this genre. But since then, there have emerged many Russian writers that utilize this genre, such as Vladimir Panov with his Secret City cycle. [To speak to English translations], Laurell K. Hamilton and Jim Butcher and others are being translated into Russian. The popularity of this genre in Russia does, in many ways, go back to the success of the Watches . NS: Where did the idea to write about magicians and vampires in modern Moscow come from? Is there some sort of metaphoric significance—connected to the characters and individual episodes (the watches, the twilight)—that Muscovites understand better than other people do? SL: Moscow has often served as a setting for mystical literature. One may recall Mikhail Bulgakov's The Master and Margarita , or the Soviet-era Violist Danilov by Vladimir Orlov. (Isn't it interesting that even during Soviet times, a mystical novel featuring a hero who has been exiled to earth, lives in Moscow, and works as a musician could be published?) It may be that Muscovites, and Russians in general, are able to grasp at certain additional allusions contained within the Watch cycle—for example, the fact that Geser the magician was a party official during the Soviet era immediately creates a very precise image for them. The word Watch in Russia is not even associated with the famous Rembrandt painting, but with the theme of borders and border guards—this was a traditional theme for the adventure novels of our youth. But overall, the range of associations within the Watch cycle is fairly international. NS: It seems to me that there is a whole lot of social commentary in the Watch series. 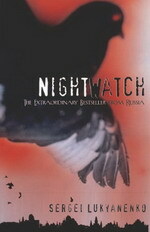 What was happening in the world when you sat down to write Night Watch ? Did the events of that particular time influence you? SL: Yes, of course. I was writing Night Watch during an extremely harsh time in Russian history. The Soviet Union fell apart, there was an overall sense of bewilderment, apathy, and despair at the fact that injustice had triumphed. I don't think that everyone in the States realizes what a tragedy the fall of the USSR was for many ordinary people: how many bloody conflicts ignited all over the country, how crime, corruption, and unemployment levels rose. These were tough years, full of negativity, when all of the advantages of the fall of the USSR (freedom of travel, freedom of the press and so on) were canceled out by economic and social dramas. This feeling of ongoing catastrophe is, of course, present in the book. NS: Which characters are most like you? SL: The hero. Always, and in all of my books, no matter who he is—a magician in a modern city, a bodyguard in the distant future, or a thief from an alternate reality. Naturally he's not literally a copy of me, or otherwise all of my heroes would be exactly the same. I just take one aspect of my own character and attempt to create a new human being using that foundation. Sometimes I like this hero, other times—not so much. But either way he will contain something that belongs to me within himself. NS: Have you ever had a job that reminded you of Night Watch ? SL: No. I majored in medicine, and worked as a psychiatrist for a year. After that, I realized that I like literature more, and "sailed off towards freedom," as they say. I worked at a science fiction magazine, at a newspaper . . . but mainly, I just wrote. I've been a professional writer for 15 years now. NS: I feel that your books have a certain quality that's unusual for an American reader. Justice and injustice are not what they seem; solutions to problems are always political, and problems are solved via compromise, skill, or luck, not by way of a climactic battle. Do you think this says something about the situation in Russia today, as opposed to the situation we have in the States? Do you think nationality influences literature? SL: Of course, as I mentioned earlier, I think that influence is there. Perhaps I was influenced by a childhood spent in Asia—the eastern understanding of the world doesn't divide everything into black and white, good and evil. Very often, justice as it is understood by one person is actually considered a huge injustice by someone else. And this relates to countries, of course. Perhaps this may sound rude to an American reader, but today, it's the U.S. that gets to decide what justice means—something that other countries frequently dislike. I think this situation is potentially dangerous and harmful to humanity. And I would like it if competing interests—both national and individual—were solved via compromise. Or, at the very least, via scheming. But not via military means, open confrontation and a "climactic battle." It's not even that the consequences of a "climactic battle" may involve the deaths of vast numbers of people. A world deprived of alternative ways to develop its morals, its ethics, and its economy will be poorer for it. At any moment, life can challenge humanity with a problem that threatens our survival, and that can only be solved by utilizing experience and potential that have previously been rejected by the modern world. It would be better for that kind of potential to remain—even if it means that we must then move away from quick and simple solutions such as "climactic battles." For example, I am deeply convinced that had the USSR not been destroyed, but instead been reformed into a democratic society, we would not only lead better lives in Russia and the former Soviet republics, but would also have more international stability and security. NS: What did you think of the first movies in the Watch cycle? How were you involved with them? SL: I wrote the screenplays for both movies, and had a small cameo in the second film. I worked closely with director Timur Bekmambetov throughout the process, and I think this benefited the movies. NS: I think there's a very interesting distinction to be made between the books and the films: the films center around a great battle between light and dark "Others" (magicians and supernatural creatures), while the books are about a Cold War, about how important it is to keep a perpetual equilibrium. Would you agree? Do you think that the films greatly changed the original idea? How did those changes impact the plot? SL: You're totally correct. I used precisely this phrase when describing the plot of the books—I spoke of a Cold War. Intelligence agencies are in conflict, there's scheming and plotting going on, but peace remains. I regret the fact that this idea had to be taken out of the screenplays, but cinema has its own rules, and the films would have been less entertaining otherwise. Maybe if we had done a TV show (which was the original idea), these ideas would have remained. SL: It all depends on American and British publishers. In Germany, for example, around a dozen of my books have been translated. The Watch cycle is selling pretty well in the U.S. and the U.K., but publishers have not yet decided that something else will be translated. To pick one book is, of course, really hard. But I would probably try to pick something that's as different from the Watch series as possible. For example, the Cold Shores and Morning Nears dilogy: a history of our world in which Jesus Christ died in infancy, and an ordinary human being became the Messiah. Or perhaps I would pick the The Line of Fancy , The Emperors of Illusion , and The Shadows of Dreams trilogy. It's a story of an unusual future world that is reminiscent of a cosmic computer game . . . accidentally so. It's a very cruel world, where the destruction of entire planets during war is a pretty mundane event. A world where several civilizations trade, fight, and live next to each other. Immortality exists there—as a very expensive product. And, of course, regardless of anything, love and kindness still triumph. . . .
NS: American readers are not familiar with your science fiction—but we'd like to be! I'm curious—what will happen to humanity in the future? SL: Oh, if I knew the answer to that—I'd be getting my tail-coat ready for the Nobel Prize award ceremony! I hope we have a future—and that's the most important thing. No matter what, humanity is getting better, century by century. Perhaps, one day we will even stop fighting one another (but I suspect that for that to happen, we may have to encounter aliens and fight them instead). NS: Some of the most acclaimed Eastern European science fiction and alternative history works became internationally known because they were remade using new media formats, including video games. (I know that both Night Watch and "The Dead Mountaineer Hotel" by the Strugatsky brothers were made into computer games.) 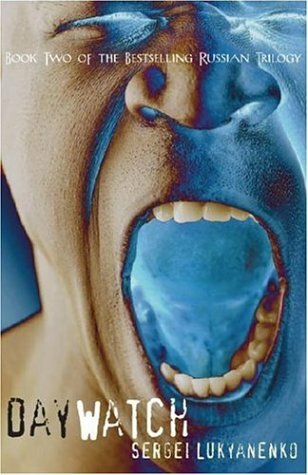 How do you react when your stories are adapted in such a way? Is video game culture changing science fiction? In the future, will authors write literary video games, or will literature become more interactive and computerized? SL: I suppose that literature as it is won't die, science fiction included. But games are becoming an extremely important part of the science fiction world, including games that are adapted from books (or vice versa: books that are adapted from games). It's wonderful to have the opportunity to play and see your favorite characters on the screen, but the opportunity to read a book does not become less attractive. NS: Recently, you were working on a short story based on a computer game called "Starquake." Is it finished? What inspired you to write a short story based on a game? SL: I won't lie—to a certain extent it was a commercial project that interested both me and the game's creators. The book Rivals (by the way, the original working title, inspired by a famous Robert Heinlein book, was "Have Computer—Will Pilot") was essentially a means of promoting the game, and the game itself became a way for readers to "extend" the world that was described in the book. It was a curious project, and it was interesting to me because it was an opportunity to combine two mediums—the book and the game. But ultimately it's more interesting to me when a game is based on a book that's already been written. Actually, right now, games based on some of my other novels are being created. Who knows, perhaps they'll become available in the States even before the books themselves are translated.